The extreme cold has been causing extreme temperatures here in our city. 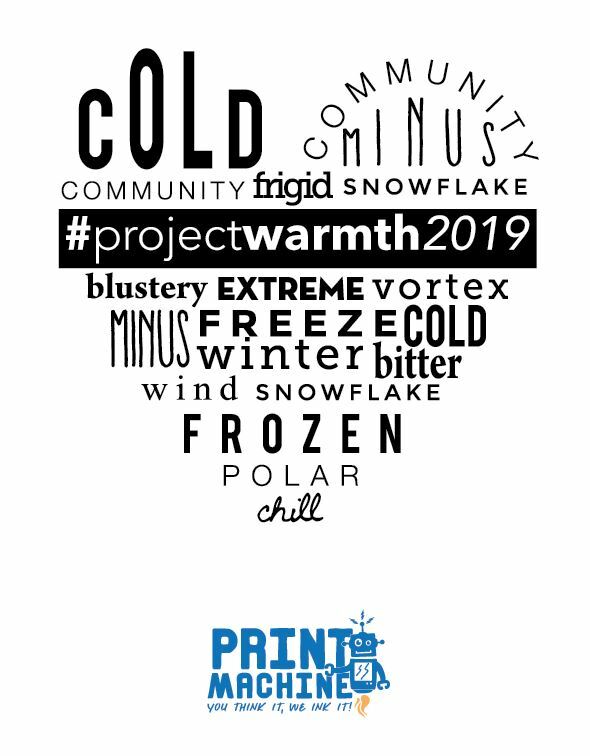 2019’s New Work Award winner Alison Neuman and The Print Machine in Edmonton are launching a short campaign to help those in need with a T-shirt Drive. For every long sleeve T-shirt purchased- another will be donated to the Bissell Centre in Edmonton to help those in need. 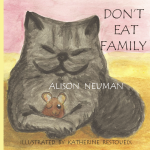 Contact me @, info@alisonneuman.ca, for ordering details. Together we can wrap our community in warmth. As a writer and instructor, I have been asked by Alison to write a few guest blogs on basic grammar. At least with a blog, I couldn’t hear my audience groan. Period (.) If reading were driving, the period is a red light, indicating the end of a sentence. Stop. Example: Grammar is our friend. Comma (,) Again, if reading were driving, the comma is a yield sign. Commas cause a reader to pause, while joining dependant parts of sentences to sentences or while separating items in a list. Examples: In advanced grammar lessons, I label those dependant parts of sentences. Adverbial, adjectival, and nominal clauses are dependant parts of sentences. Question Mark (?) The question mark simply follows a complete sentence that is asking a question, even if the question is rhetorical. Examples: Is this making sense? Do you, like me, have a love-hate relationship with grammar? Exclamation Mark (!) The exclamation mark ends a sentence with emphasis, implying importance and demanding attention. Use them sparingly to avoid sounding like you are shouting and to ensure impact when you do use one. Example: Even if a sentence is really important, do not use more than one exclamation mark! Colon (:) If you are attached to the driving analogy, would it be acceptable to compare colons to traffic circles since they are often misused? Colons follow a complete sentence and precede a list of one or more items. Examples: The majority of my students say this is the worst part of a communications class: grammar. I assure them of the following benefits: reduced miscommunication and increased professionalism. Apostrophe (‘) I am abandoning the driving analogy. The apostrophe simply replaces missing letters or numbers in contractions or signifies possession. Example: The instructor’s opinion is that proper punctuation shouldn’t be a thing of the ‘90s. Dash (-) In short, dashes are often lazy replacements for other forms of punctuation. Do not use these unless you are comfortable with the basics. Examples: In this example, commas – which were previously discussed – are being replaced by dashes. I could write entire blogs on each of the three types of dashes – the em dash, the en dash, and the hyphen. Proper punctuation can make your writing easier to understand and more enjoyable to read, at least on a structural basis. In my defense, proper punctuation can only do so much for a grammar blog. 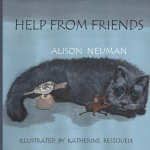 My fellow writer/editor and friend Alison asked, “As an instructor, which grammar errors do you see most often?” The answer came easily: fragments and run-ons. A sentence needs a subject and a predicate, an actor and an action. If one or the other is missing, you have a fragment. These examples are easy, but I will tell you how I trick my students on quizzes. I make the fragments long. [The brilliant student in the front row who never thought she could be tricked]. I even tricked Microsoft Word with that example because the green, wiggly line didn’t appear under it. What did the brilliant student do? Who? Who is singing the high praises? [Jaclyn] [is…] perhaps the one impressed in this example. If a sentence has a subject and a predicate, another subject and predicate, and perhaps another subject and predicate without proper punctuation, you have a run-on or the run-on’s cousin, the comma splice. I like teaching communications and my students are usually eager to learn, but they don’t like grammar, the truth is I have a love-hate relationship with grammar, too. An independent clause – a subject and a predicate/actor and action – must be divided from other independent clauses. I like teaching communications. My students are usually eager to learn, but they don’t like grammar. The truth is I have a love-hate relationship with grammar, too. My theory for why I see so many fragments and run-ons is that writers are trying to write how we speak. The problem is the result can be confusing and just plain ugly on the page. When we finished the Sunset Syndrome in May 2016, I knew I wanted to have even more people see this amazing story. 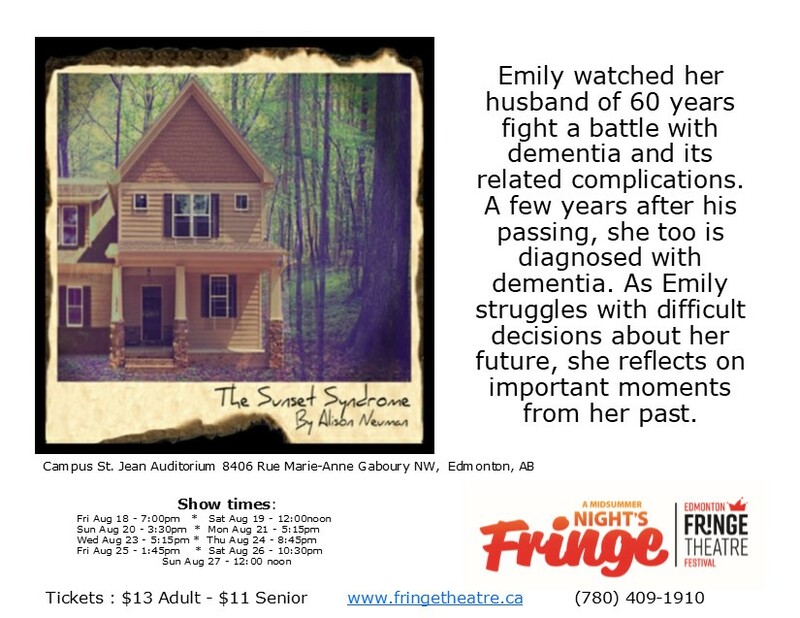 Thankfully, Alison agreed and we’re now busy rehearsing for the Edmonton Fringe! The cast is full of talented, hard-working actors who are all committed to sharing the story of Emily in a sincere and compassionate way. They a true ensemble and family. We’ve started a fundraiser to help cover costs for the show and have a bunch of perks for those who donate, including free tickets, signed posters, chocolate, and a donation made to the Alzheimer’s Society from the production in memorium of a person of donor’s choice. 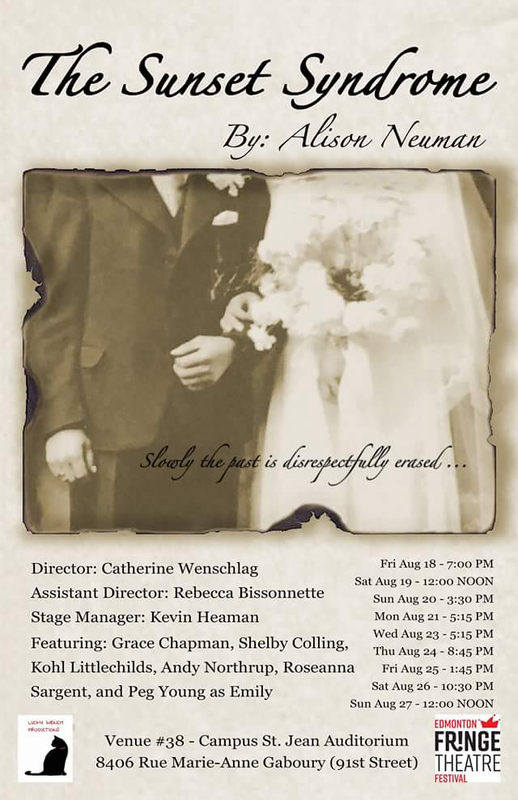 We hope you will come out to see the show that Alison has so beautifully crafted and that we are diligently working to bring to life with great love. Finding the time to get activities accomplished in a day can be a challenge. Everyone has a set of tasks to accomplish daily and a certain number of hours for each. Creative writing is one of my activities for which I’m always trying to figure out a better system so when I have those few precious minutes to write, my time is best used. I’m very lucky to have an opportunity to be in a mentorship with an editor who I have had the privilege to work with in the past. She is able to edit my material in a way that keeps my writer’s voice. She is a straightforward editor who tells me like it is. She always provides me an opportunity to learn and grow with every communication. I have had this young adult novel bouncing around in my creative projects list since the idea popped in my head in 2007. It is science fiction, a genre which is a depart from my usual reality based genres. So, I am learning the specific conventions for the genre, along with creating characters and worlds. In an effort to have an outsider’s view of the work, I had several readers provide feedback. Some of the changes resonated and others didn’t. What I found is that, even if I was unable to articulate or name a reason, if I did the change anyway, it didn’t feel right. At the end of the day, the manuscript and book had my name on it. This manuscript has been more challenging than all my others to date, but in the past few weeks, as I have been writing, it has reminded me of how much I love writing. Yes, the road ahead can be challenging and frustrating, but the process of creating characters, worlds, and stories is humbling. The content has challenged my creative brain for although it is set in reality, some of the characters and situations are fantasy-based. For example, the concept of living forever and travelling into the past. For the characters who live forever, finding their motivations has been an interesting process. 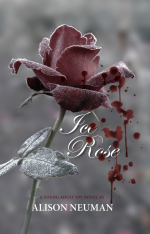 When I wrote my first book, Ice Rose: A Young Adult Spy Novel, it was like living with the characters, but not all of the characters in my new books have moved in with me yet. They only come to visit. The same experience is similar to meeting a new person in the real world. During the visits I am able to learn more about them and understand how they interact in the world and the way they speak. Guess it will take some convincing and getting to know all the characters before they will come to stay. As I progress through this stage in my young adult creation, I am reminded of the new conventions and applications and maybe the most important lesson of listening to my intuition. No matter what I am writing, if I’m unable to find the words, if it just doesn’t feel correct in my writing brain and heart, then it simply is not. There is nothing like the feeling of a new idea or character popping into your head. There is excitement to create the new project and to begin the new journey. This is one of my favourite parts of being a writer. No matter the genre or the size of the project, this initial first stage is exciting and fun. The new ideas and characters are like new places and friends that are introduced into your life. After all, going to new places and meeting new friends can be very exciting. As I have posted, there comes a point when a writer must decide to shelf a project or persist with it. Energy is a determining factor but there are other factors. My newest writing project is fantasy and the genre is new to me. This was started by a character, and I loved the idea of creating a new world to have my characters interact within. The journey to write has been a challenge. I have had several manuscript readers review the piece and offer feedback. Now here is where I have learned as a writer. It was initially written as a YA and then, after feedback, I switched it to be more adult content. I found the process of rewriting the book into adult content to be work. By work, I mean that it was like changing to an entirely new work. At the end of the rewrite, I was not entirely happy with the manuscript. From this point, I had two choices: to leave the manuscript in the state it was or to refresh it back to what it was as a YA. After some time to consider the pros and cons, I ultimately decided to refresh it to a YA novel. Now all the housecleaning of the manuscript must begin. Any adult situations must be deleted or reworked to be appropriate for the target audience. The sections that were cut for teen-related content must be re-added and edited, and the entire manuscript course must reflect the additions. While there is a long journey of writing, rewriting, and editing ahead for my manuscript, I feel so much better about the project. Currently, my year is divided up into which genre of writing time permits me to explore. From September to the end of April, I’m a university student and 90% of my writing time is used doing academic essays. May to the end of August is when I’m able to work on creative writing projects such as novels and plays. Writing is just something that I do. As I made my way through the past few years, I found that creative and academic writing both have parts that are enjoyable and parts that are not as pleasing. My writing process involves me working the components out in my head prior to starting writing. No matter which genre of writing, I find that organization is also important. My academic process starts with the specifics of word count, themes, and formatting. Research provides the material I require to substantiate my thoughts and show my grasp of understanding. Playing with words and phrasing is the part of academic writing, the part I enjoy the most. In academic writing there is terminology used in the required textbooks. Such terminology must also be used sparingly as while the essay is for an academic audience, it also needs to be written so most readers can understand the points, and perhaps, the arguments. Various printed drafts permit me editing opportunities for proofing and clarity. This process is more a process of work and feels like it uses the part of my brain that is more rigid and seems to require copious amounts of energy. If academic writing was to be compared to a physical activity, it would resonate as weight lifting, shorter amounts but intense when they are being completed. During the year I am also very aware of the looming deadlines and my process to get the assignments submitted on time. My creative process starts with a small idea, concept, message, or story in which I need to flesh out. Much of this process is completed away from my computer. As I brainstorm, some of my best ideas come as I’m living my life and not staring at the glaring screen. For myself, this is like a dance class. I work really hard on smaller pieces, which can be used for a larger piece. Editing is completed onscreen as printing the larger projects would require considerable amounts of paper and ink. While the process to get to the end of the project is long, it is energizing when a character leads where the project will go next or when I find that perfect turn of phrase. The effort that is required is far less and also has less tight deadlines for completion. While I find that both creative and academic writing permit me an opportunity to work different parts of my writing muscle, they both have activities in which I enjoy and activities in which I love less. That said, if given a choice, creative writing is my favourite. I teach communications at both NAIT and MacEwan. I love what I teach. However, the expressions on my students’ faces when I introduce the grammar portion of my classes tell me the love isn’t exactly shared. On the first day of a beginner level course, I listed the assignments that would be due throughout the semester: a business letter, report, and such. A student – let’s call him Johnny – raised his hand. “I don’t need this stuff. I’m going into business,” he said. “Hopefully, by the end of this course, you will see otherwise,” I countered. Countering this stance, after all, was one of the course objectives. What he said next was new. He made a good point. Next class, Johnny raised his hand again. “How come online it says assignments are going to be done in class now?” he asked. Even if Johnny has a brilliant business mind, his successes will be few and limited if he is unable to communicate his ideas effectively. For instance, our conversation could have gone much differently had he asked a more appropriate question. So, why is a basic communications class mandatory in most programs? Because no matter which course you take in school, which career you seek or enter, all require written and oral communication. A basic communications class works on developing this awareness and these skills. Purpose – what is our message and why are we delivering the message? Audience – who are we delivering the message to? Means – how are we delivering the message? Your approach to selling an innovative product should differ if your audience is a 12-year-old, a group of foreign travellers, or an old friend and if your means is an advertisement, a letter, or a haiku. Your approach to revealing a record low in sales should differ if your audience is a grumpy employer, a nervous employee, or two hundred unsuspecting investors and if your means is an email, a press release, or an oral report. Good news or bad news? Formal or informal? Oral or written? Your purpose, audience, and means affect how you deliver your message. And, how you deliver your message affects how the audience will react to your message and to you. Thoughtful consideration of tone, grammar, and format does not guarantee clarity and a successful outcome, but it sure helps by minimizing room for miscommunication. In my defense, not many people do. My entire life I have been a person who jumps into new projects and then has to try and figure out things along the way. It is like jumping into a the shallow end of a swimming pool and trying to learn how to swim. This philosophy has been both a benefit and also a bit of a hindrance. Take for example when I applied to be in the Fringe International Theatre Festival. Having a show in the Fringe was on my life list so I was going to try to check it off. When I entered I choose a Musical I wanted to write. I didn’t have one lyric, or word written when I applied in winter. When my play was chosen, I had a few months to write the play, lyrics, hire a songwriter and learn more about theatre. Overall, the process was wonderful and I learned so very much and met some amazing people. Fringe is defiantly an event I would be excited to embark upon again, but with a team of people so the work can be spread out and be given as much time as required, versus the time that could be focused. I had to be more selective of how many projects I take and how much time they will take. This in of itself has been an interesting challenge. Sometimes amazing opportunities pop up unannounced and it is hard to say ‘no’. 2016 was the year of ‘no’ for me. I didn’t go off the deep end and say ‘no’ to every opportunity, I just have learned to take every opportunity into consideration. I weighed how much time it will take, will it interfere with any of my responsibilities or obligations, will it affect my health in the short or long-term, will it put a strain on any people in my life? Will the activity spread my time thin and take away from something other? Is this activity going to come around again or does it have to be right now? As I made my way to the end of 2016, I found that while it has been a process to say ‘no’, the year was amazing. Time is very precious and so the activities and opportunities that I approved, had more of my focus and time put into them. They received more attention and were special. In general this experiment had short and long term effects in my life. There was not a rush and stress to finish so many projects by set deadlines. My brain was not always having to race from one activity to the next. I actually had some downtime in-between projects so I could spend time, in the moment time, enjoying the world around and people around me. 2016 was amazing, and while 2017 will be a new year of consideration versus ‘no’, being able to select activities also means there is a wonderful chance to select my yes activities. Take some time away before beginning editing. By allowing a day or more after you complete writing and begin editing, you can better guarantee having “fresh eyes” – and a fresh perspective – to devote to the latter project. Read your work out loud while editing. Work backwards through your work. Block off one line of copy at a time using a ruler. Change up your font, size of font, and/or font/paper colour. These ideas can help you slow down your reading and better catch any mistakes. Consider the format. Can you edit more effectively reading from your desktop computer, your laptop, or from printed pages? Ask somebody else to edit. Find a critic, rather than a supporter of your writing. 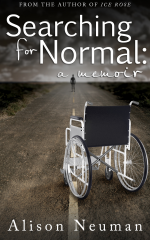 When writing my books, Caregiver’s Guide for Canadians and The Successful Caregiver’s Guide, I worked closely with my book publisher’s editor and implemented all of her suggestions to fill in some holes and improve what I had written. Write first, edit later. Your first task is to write … editing along the way will only slow you down. Be wary of spellcheck. While somewhat handy to pick up misspelled words, this tool will not recognize improper usages of homonyms, omitted punctuation, and/or typos. Consider your environment. Editing requires your utmost attention. You will need a distraction-free time and place to edit. Stay off Facebook! You may prefer to edit in a quiet coffee shop rather than at home to avoid interruptions. Remember your audience. Who are you writing for? Canadian and American readers for example use different spellings of many words. Canadians will spell “favour” while Americans will spell “favor”. Follow your style guide. If you have been supplied a style guide or writer’s guidelines, follow these to the letter. This is what your client wants and expects. Be attentive to desired word count. Write and supply a bit more, if you wish, but don’t provide less than what is expected (it’s easier for an editor to chop words than to add them). Set a False Deadline. Waiting until the last minute to complete your editing project may lead to regrets. By setting (and sticking to) a false deadline before the job is required, you (and your client) may be breathing easier if anything unexpected occurs. And don’t wait until the eleventh hour before your false deadline to start your editing! Accept your own limitations. Editing can be taxing work requiring intense mental concentration. Limit your editing to several hours per day. Pay attention to your physical restrictions and edit ergonomically. Sit in a comfortable, supportive, and well-placed chair and break away from your editing to walk around for a few minutes each hour. Rick Lauber is the author of Caregiver’s Guide for Canadians and The Successful Caregiver’s Guide (both published by Self-Counsel Press). He has also seen two of his contributed stories accepted and published by Chicken Soup for the Soul and is an established freelance writer. Check out www.ricklauber.com and https://twitter.com/cdncaregiver. Header photograph by Kaylee Bee.